To further investigate the factors involved in the modulation of the schistosomal granuloma, mice were primed with immunogenic carbohydrates which were common to soluble egg antigen (SEA) and adult worm antigen. Mice sensitized with LewisX trisaccharide or lacto-N-fucopentaose-III (LNFP-III) displayed an increased cellular response towards SEA-coupled beads implanted in the liver by mesenteric injection, resulting in the formation of larger periparticular granulomas. When animals were sensitized with bovine serum albumin or a structurally related carbohydrate, an accelerated response was not seen. 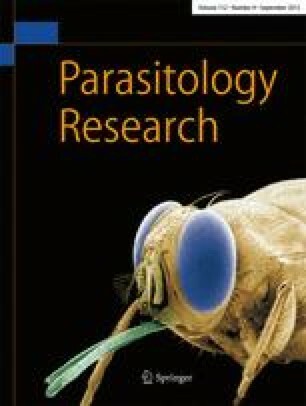 Since LNFP-III is built up of LewisX molecules, and LewisX carbohydrates are common to SEA and worm antigens such as the gut-secreted antigens CCA and CAA (two antigens that could prime egg-antigen-induced granuloma formation), this may explain why adult, live Schistosoma mansoni worms positively modulate egg-antigen-induced hepatic granuloma formation in the murine host. These observations provide new insights into the role of carbohydrates in parasite-host immunity and may yield important implications for choosing worm-derived antigens for the development of anti-schistosome vaccines.